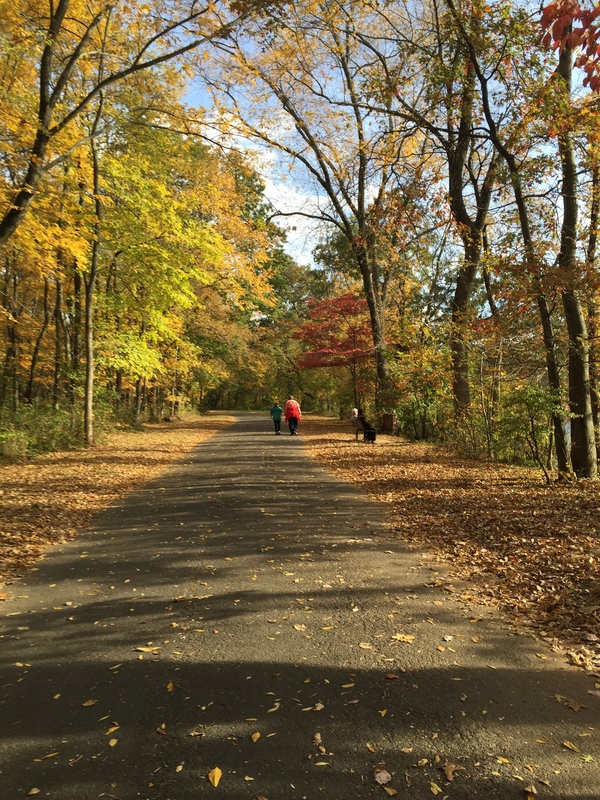 This weekend my family and I joined the Liberty Bell Wanderers in Willow Grove where we will visit four state parks. Today we walked 10 miles on trails and more around town. We arrived at the hotel where most of the group was staying at 8 a.m. We were on the road fairly early for our first stop: a 10K walk through Fort Washington State Park. By about mile 4.5 my ankle had that mild soreness, but we came upon a playground so the swings, monkey bars and, no lie, FOUR WAY SEE-SAW soon made me forget a twinge of discomfort. Oh! And we saw hawks swirling around at the Hawk Observation Deck. Lunch was at Feliz Cantina. 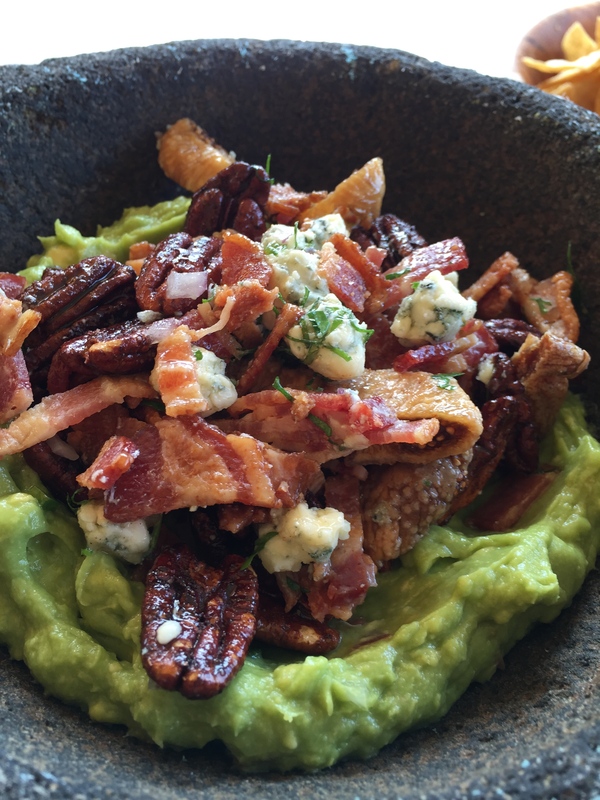 There we experienced a true culinary miracle: gaucamole with candied pecans, bacon and blue cheese. And I tried fish tacos. And I liked them! We went back to the hotel where we moved from (my friend and fellow walker) Gayle’s room to our room. She’s staying with us tonight. After a very brief respite, we headed out to Tyler State Park which reminded me of our local park, Jacobsburg. We only attempted a 5K, and to keep child happy we let her take photos of people’s dogs. I’ll have to do a count and perhaps a gallery of her dog photos. Once again we found ourselves at the Hampton Inn in Willow Grove where child immediately hopped in the shower. I had brought cake pops from Starbucks, microwave popcorn and board games in my suitcase. Gayle and I went out for beverages (found a 7-eleven a half mile away) and somehow ended up with a pizza. On foot. We had pizza, cake and chocolate milk and played Ticket to Ride (the board game). Child crawled in bed without a fight at 7:45.